My name’s Donovan and I’m an Applied Linguistics graduate from sunny Queensland, Australia. I’ve been moving around and living in various parts of the world for the last 10 years (you can learn more about me here). I have a huge passion for language learning as well as helping to raise awareness of endangered minority languages around the world. My goal is to spend the rest of my life pursuing this passion. I’m happy to share information from my own experience that’ll help you in your efforts to pick up new languages. Whether you’re living abroad immersed in your target language or struggling to learn at home on your own, there’s plenty of content here that will benefit you. 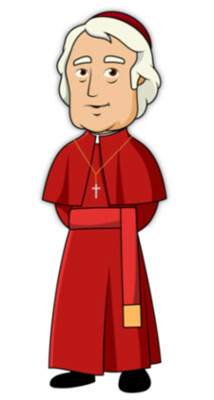 Who is this Mezzofanti guy? According to an exhaustive biography of Giuseppe Gasparo Mezzofanti (1774 – 1849) he spoke an impressive 39 languages fluently. Most of these languages were not Latin-based – obscure and uncommon Eastern languages, and a range of various dialects and ancient languages of the Near East. The languages he spoke were rapidly self-taught at a time where there was no internet, no electronic communication and no abundance of learning material like we have at our disposal today. I personally have a special affinity for Mezzofanti because of his theological background starting out with Greek and Hebrew, and the fact that he specialized in Arabic. I highly recommend getting a copy of The Life of Cardinal Mezzofanti. It’s really important that we continue to encourage and support one another as a community of language learners. You might be learning a language on your own but consider yourself part of a wider, global family of learners who are in the same boat! From time to time you’ll also hear from other experienced language learners on this blog and you’re always welcome to share your own thoughts and experiences. My family are all monolingual English speakers. Even though I took a few years of compulsory Mandarin Chinese in school, it wasn’t until I encountered Koine Greek and Ancient Hebrew in college that I really became interested in foreign languages. Learning these languages for a few years showed me how truly rewarding it is to be able to understand people not only across cultures but across time as well. I moved on to Classical Arabic and ended up making friends with native Arabic speakers in Australia and the Middle East. These people taught me the Egyptian and Modern Standard dialects. Arabic has been my area of specialization for many years. Georgian (the country), French, German, Italian, Spanish and Russian. 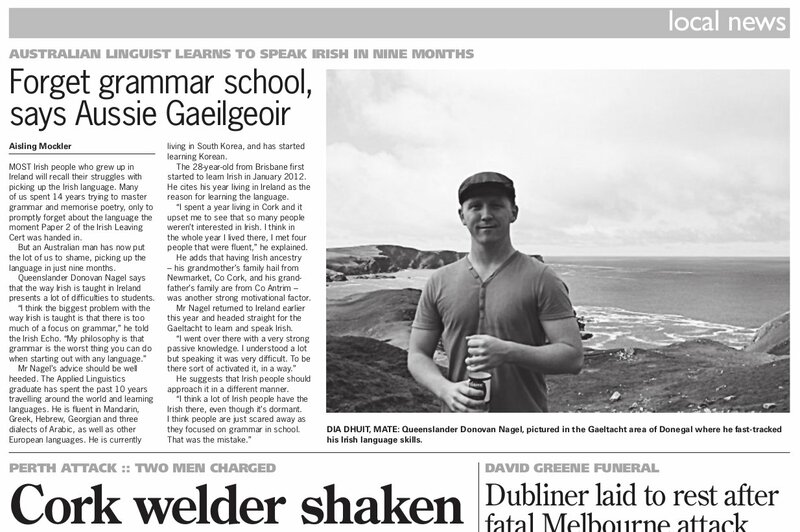 In 2012 I taught myself Irish Gaeilge, the indigenous language of Ireland, and I spent 2013 in South Korea where I learned to speak Korean. I spent the first half of 2014 in a small town in Russia becoming conversationally fluent in Russian and I’m currently back in Egypt improving my Arabic. My own personal goal is to become fluent in at least one new language every year and to spend time living in that country while sharing my experience with all of you. Would you like to know more about me? Click here. Connect with me on Facebook (I often post extra content here). Join the forum and introduce yourself. FINALLY: ‘Join the Guild’ by entering your email at the bottom of this page. Lastly, do you use Facebook, Pinterest or Reddit? Please help support me and my family by pinning/sharing/upvoting any posts that you find interesting or helpful. This is one of the best ways to support me.